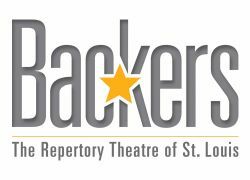 The Rep Backers are The Rep’s true partners in upholding a fine tradition of theatre in the St. Louis region. When you graduate from buying tickets and attending performances to supporting The Rep as a donor, you immediately enhance your theatre-going experience. You get the opportunity to peek “behind the scenes” by attending Backers-only events, sitting in on special rehearsals and participating in other donor-exclusive happenings. Backers are an important part of The Rep family and your dedication helps make the magic happen on stage. So what are you waiting for? Feel the pulse of the theatre and become a Rep Backer today! Reserved, complimentary parking at The Rep. (Not valid for Wednesday matinees). Private theatre tour for four, upon request. (Valid September 1 – March 1). Want to make a donation under $100? Simply visit our donation page to pledge your support. We greatly appreciate your gift!